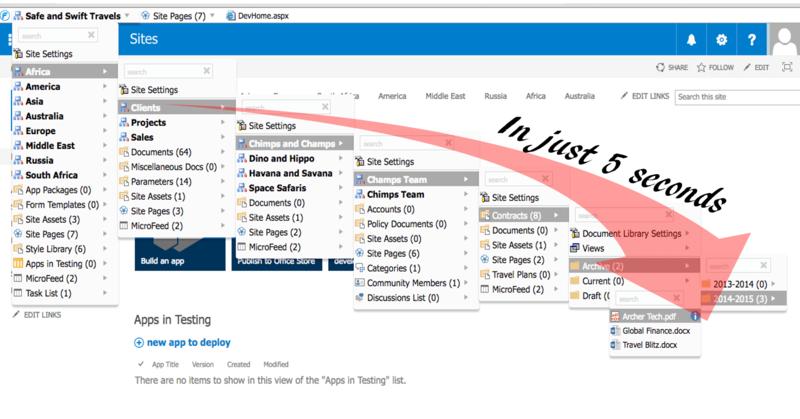 Meet FlyView, an innovative, lightning fast SharePoint navigation menu for SharePoint users that significantly cuts the time it takes to explore and view SharePoint sites, libraries and folders. It is a must have tool loaded with useful features such as Instant Search, Preview Windows, Favorites and History links. It is easy to install and remove. Download free Chrome extension now or take the Free Enterprise VersionTrial for IE and other browsers. 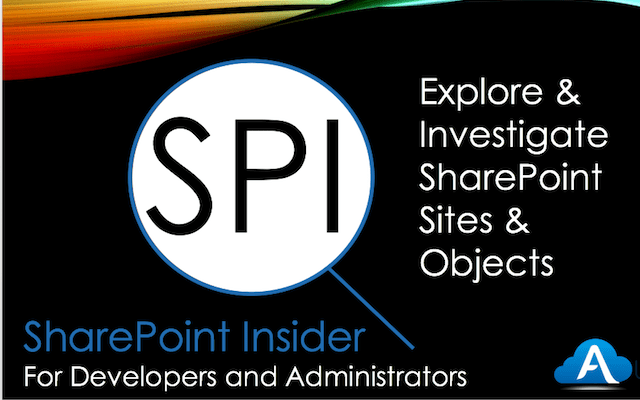 SharePoint Insider, a free server and client side tool for developers. Insider versions are available for Chrome, Windows, Sandbox and Farm servers. It enables the developers to see the complete Site structure, explore objects and their properties useful in development, debugging, exploring and troubleshooting of SharePoint sites.Bookmarks for quick access. The versions differ primarily on their operational mode (i.e. read-only or read/write) and deployment method. Access it from any supported browser, no need of client side tools. Free download from the Aurora Bits website.